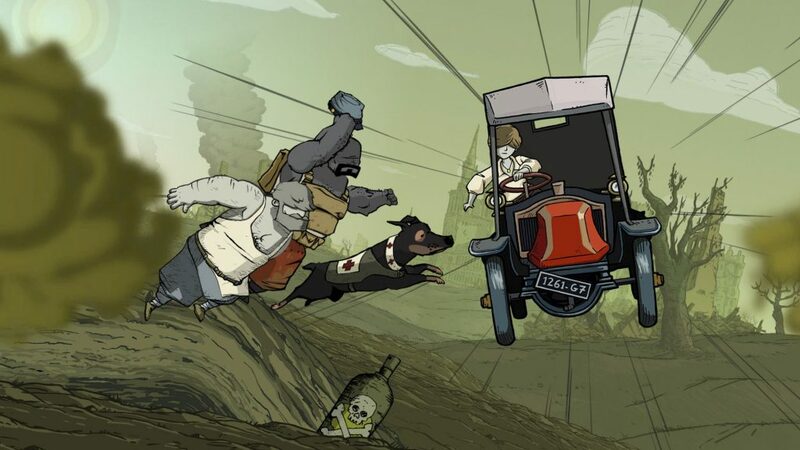 Valiant Hearts: The Great War was developed by Ubisoft, specifically the same studio that worked on the Rayman reboots and I am a huge Rayman fan. Valiant Hearts: The Great War has more or less the same gamplay mechanics except that you aren’t running and jumping like Rayman. The game is a lot more controlled and linear. Usually I find that off putting but it suited this game so well that you soon forget about it. 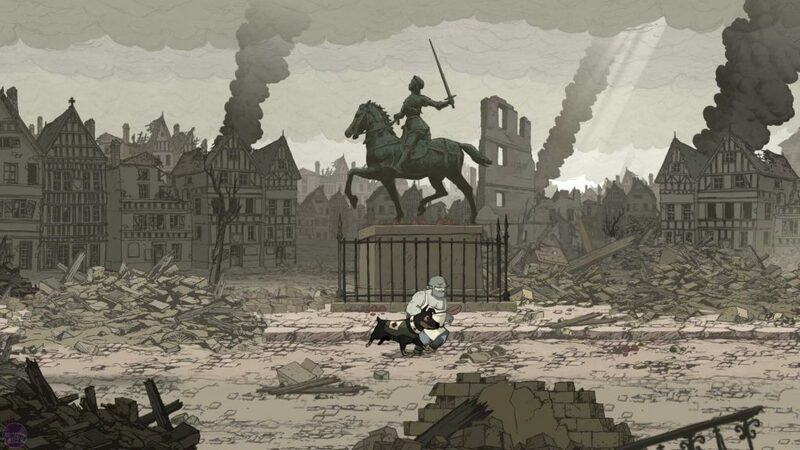 Valiant Hearts: The Great War takes place during world war one and there are four playable characters who’s stories cross each other. 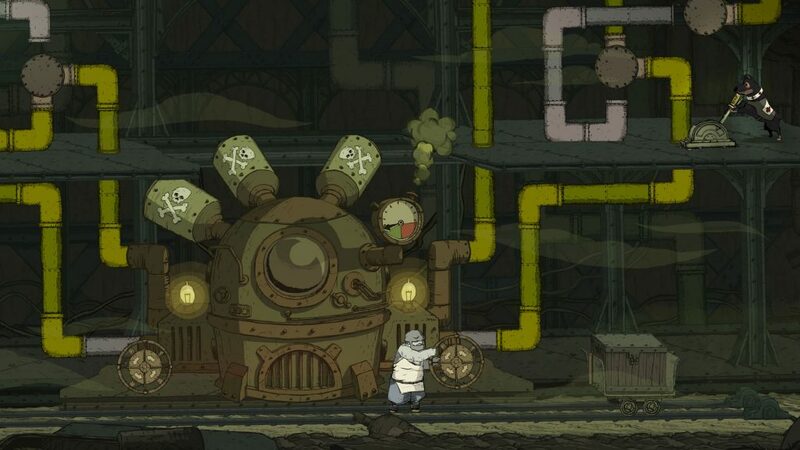 The game is like an 2D action adventure game with a beautiful almost hand drawn art style. You can move left or right to navigate to different screens and go up or down ladders. There are also certain mechanics such as digging in specific areas or throwing objects and using levers. You use all these mechanics to solve puzzles to continue the story. Its a super simple mechanic that just can’t go wrong. The difficulty of the puzzle range from the answer being right in front of you to the extremely difficult which will make you go through multiple screens to figure out what to do next. The game even switches it up a bit and has classic 3D-like sections where you are in a car and you have to dodge bombs and enemies while the car continues forward. Again, the mechanics are super simple and you only have to move left and right. An optional extra is that each level has a certain number of hidden object that you can find. Once you find the item, it gives you some information on the item itself or the area you are in and so on. There are also sections when you control the female character where you have to heal someone. You do this by playing a mini game that requires you to press the correct buttons as the come on the screen. The entire game feels like a nostalgic trip because these were the mechanics of games that I use to play when I was just getting into gaming. It was an excellent reminder that you don’t need ultra realistic graphics or complicated mechanics to make a great game. As I said earlier, the game takes place during the first world war. You are taken to locations and take part in events that actually occurred. The main character is a French solider called Emile who’s son-in-law, Karl is sent to fight in the war. Emile decides to go and find him. Along the way he finds a dog called Walt who helps Emile with certain puzzles. You also get to meet and play as an American soldier called Freddie and a Belgian nurse called Anna. Another interesting aspect is that there is no talking. The characters mutter and mumble in a french way. I liked this because it puts more focus on the experience and doesn’t keep you from playing with lengthy cut scenes with dialogue. I was pleasantly surprised that there weren’t any massive bugs in the game. With most games within the same gameplay style, there are usually bugs that will prevent you from finishing a puzzle. This game was an almost perfect experience. There was one section where I kept dying but I’m convinced that it was just because I wasn’t moving the character fast enough. I was prepared for the gameplay but I wasn’t prepared for the emotional well written story. The ending almost left me in tears and this was the first game to do so. Although the game was relatively short at only 11 hours long, it delivered a story an experience that was better than most of the games that I’ve played. That says a lot.